Spirits in the Water, Elements anthology #4 is OUT! Plus Elements book #1 goes FREE. 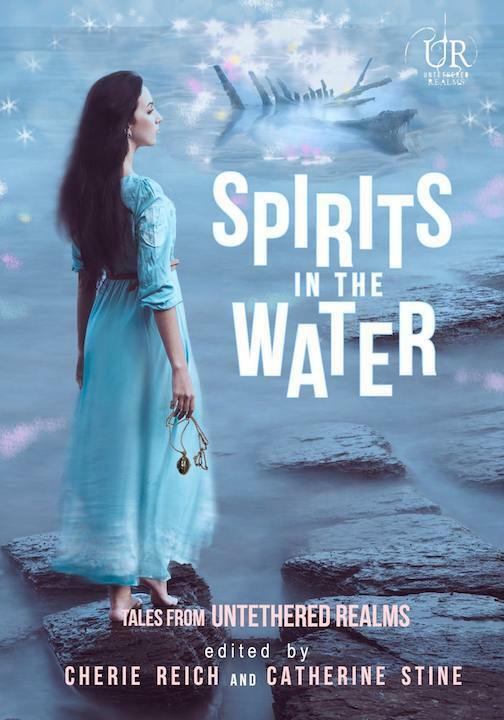 Spirits in the Water is a new anthology of eleven magical tales by Untethered Realms, masters of fantasy & sci-fi. Take a haunted journey on a riverboat, meet water sprites borne of pennies, preternatural creatures, ancient serpents, and the Lady of the Lake who lurks in dark waters. Experience raging storms and magical rainbow fountains. Water is beautiful but treacherous. To celebrate the launch, Spirits in the Water is only 99 cents & book 1, Twisted Earths goes FREE! Jeff Chapman offers The Water Wight. When a drowned girl changes her mind about suicide, Merliss and associates face a fearsome, preternatural creature. Simon Kewin offers The Waters, Dividing the Land. Hyrn the horned god of the woodlands is learning the meaning of fear. Death magic blights the land, threatening everyone and everything. To save what he can from spreading corruption, he turns to the ancient river serpents, but they’ve grown old and distant and may not hear his call. Catherine Stine offers Maizy of Bellagio. 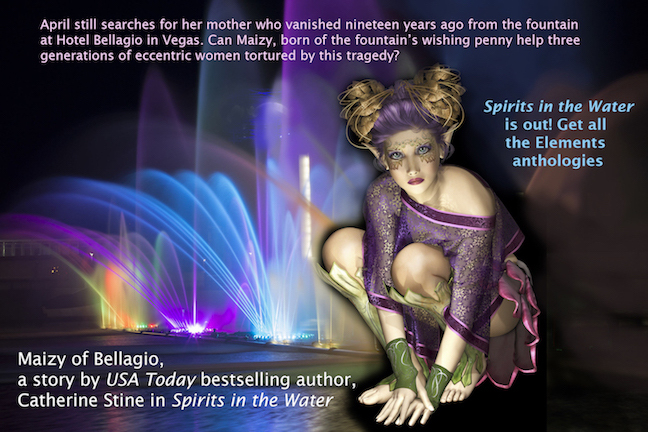 April still searches for her mother who vanished nineteen years ago from the fountain at Hotel Bellagio in Vegas. Can Maizy, a water sprite who works the fountain’s pink colors, help the three generations of eccentric women tortured by this tragedy? M. Gerrick gives us The One Who Would Wield the Sword. Nikka is supposed to be dragon bait so a real dragon hunter can do his job, but the Lady in the Lake has other plans for her.